This viewpoint was inaugurated in January 2013, it was designed by the Canary architect José Luis Bermejo. It is located at the very top of the cliff and in just a few years has become a main attraction visit for all tourists. The best attraction without doubt of this place are its views, located about 400 meters from the picturesque village of Agulo and 620 meters from the huge and blue Atlantic Ocean right in the background is the island of Tenerife, crowned by the highest mountain in Spain, El Teide. But this place offers even more things. 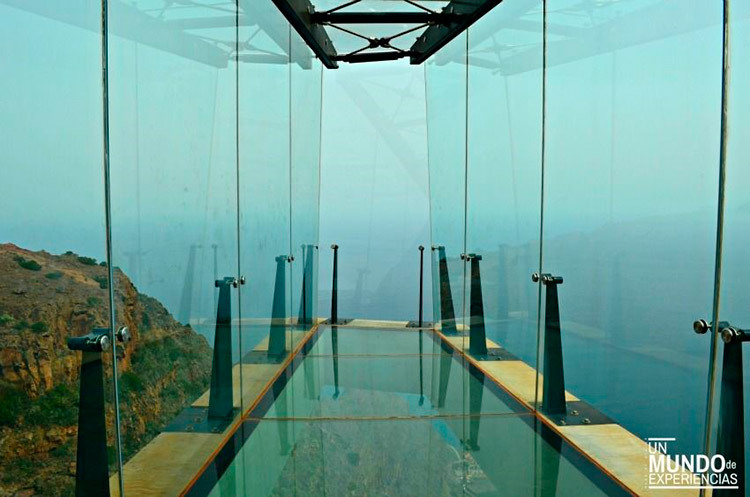 The building of the gazer contains one of the star attractions in the island of La Gomera, the glass walkway which is only for the brave. A structure of about 7 meters long, with ceilings, walls and floors all in glass. Strolling through, it will make you feel as though you could float through the air and observe the landscape in a different way. Access is completely free and you can take a thousands of photos to remember this magnificent experience. 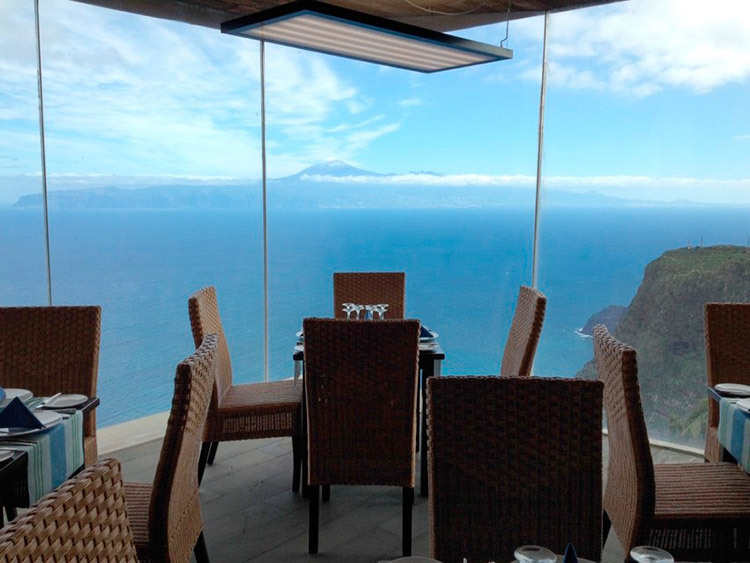 Inside the building there is also an excellent restaurant, where you can enjoy a rich lunch and taste dishes of Canarian gastronomy, of course, always accompanied by the magnificent views. If you are on holiday in Tenerife and interested in visiting the island of La Gomera, see the Oriel of Abranto, enjoy a rich lunch at it´s restaurant, take a stroll in the forest of El Cedro (one of the best Laursilva Forest in the world) and much, much more! We invite you to come with us and let yourself go. 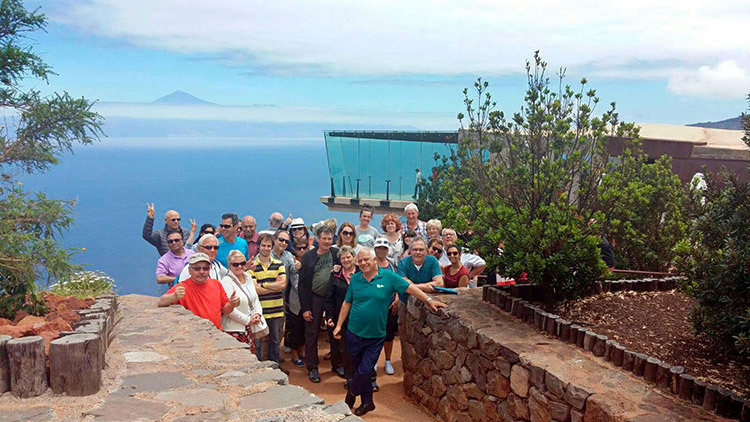 For more information visit our La Gomera excursion.